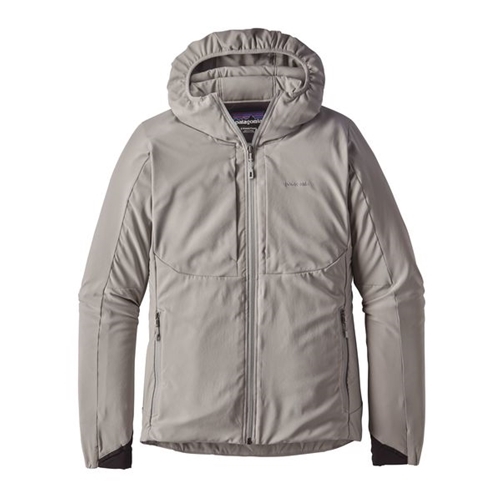 The highly packable, abrasion resistant, breathable Patagonia Women's Tough Puff Hoody is great as a mid layer or stand alone jacket. This new Tough Puff Hoody is highly water resistant and is lined with a lightweight capilene. This Hoody is very quiet and offers a front chest pocket to stash fly boxes or whatever best suits your needs. The Patagonia Tough Puff Hoody is like a more robust brother to the Nano-Air Hoody as it offers full range (Nano air) insulation, has a relaxed fit and a softshell face fabric (durability, wind block, water repellency).